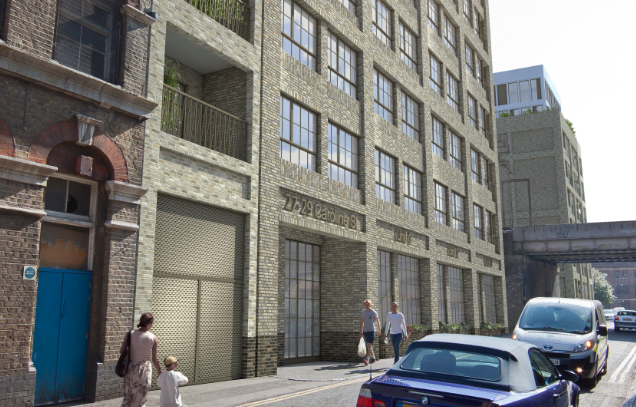 A regeneration scheme that will transform a derelict site of former lock-up and warehouse facilities to deliver new homes and townscape improvements in Limehouse has been given planning approval by the London Borough of Tower Hamlets. Our plans for this two-site scheme in Caroline Street for Bluecroft Property Development will bring forward 56 new homes, ranging from studios to three-bedroom apartments, six of which are fully wheelchair accessible and almost 35% of which will be for affordable or intermediate rent. As testament to the architectural quality of the scheme, all homes will have access to communal space (including play space) and a generous private balcony or terrace. Construction is expected to start later in the year on this scheme which will bring significant enhancements to the area’s townscape, local environment and amenity when complete.